Enjoy serving your guests with this beautiful wooden tray. 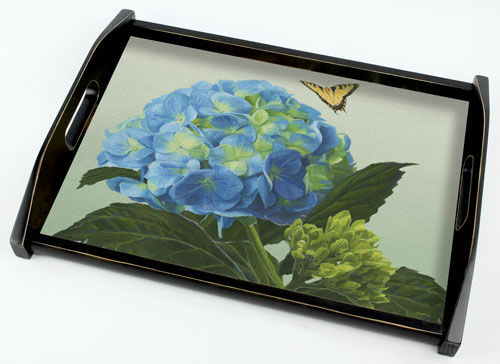 The base of each Wood Serving Tray is printed on a hardboard material with three layers of protective coating and a high-gloss finish. The cork backing protects table surfaces from scratches.